You love your family – but you’re not exactly in love with what happened to your body during and after pregnancy. Motherhood can put a lot of stresses on your body – after all, it made a beautiful human being! But maybe all that work caused damaged abdominal muscles, drooping breasts, or even body fat that just won’t seem to respond to diet and exercise. In each (or all) of these cases, you may need the help of a plastic surgeon to help get your pre-baby body back. 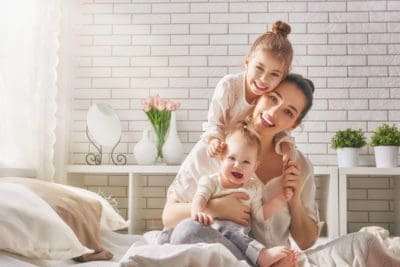 The Mommy Makeover is designed to suit your specific needs, which will be determined after a consultation with the board certified plastic surgeon of your choice. But exactly how much will a Mommy Makeover cost? As it turns out, the average cost of a Mommy Makeover in the Sacramento area is $14,850, although prices range from $8900 to as much as $21,000. The prices vary depending on how many procedures you need done and the plastic surgeon you decide to use.